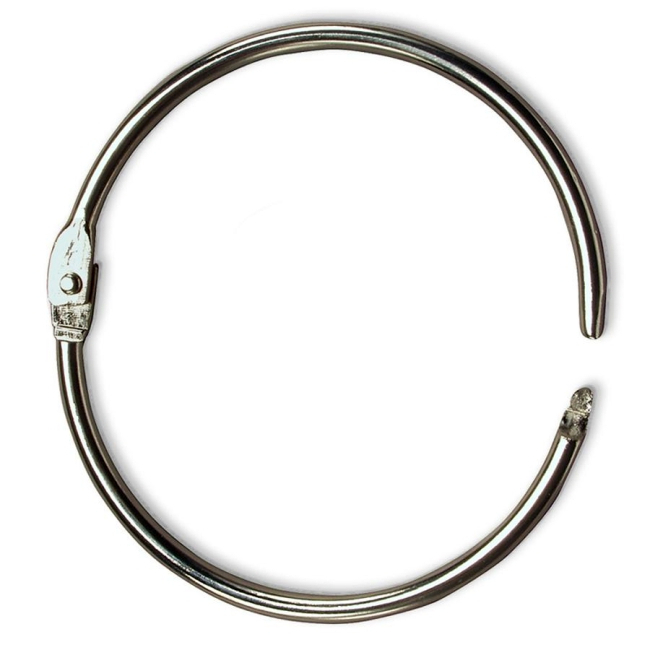 1-1/4" Loose leaf rings are hinged on one end and have a easy locking system on the opposite end. They are a perfect way to put together swatches for paint samples, abc books for school age children, and swatch books for carpet samples. The diameter of these steel nickel plated rings are 0.130". * Inside diameter is measured from the hinge. They come in quantities of 100 and any order over 2500 should call for a price break. We stock these in our Michigan and California branch offices. 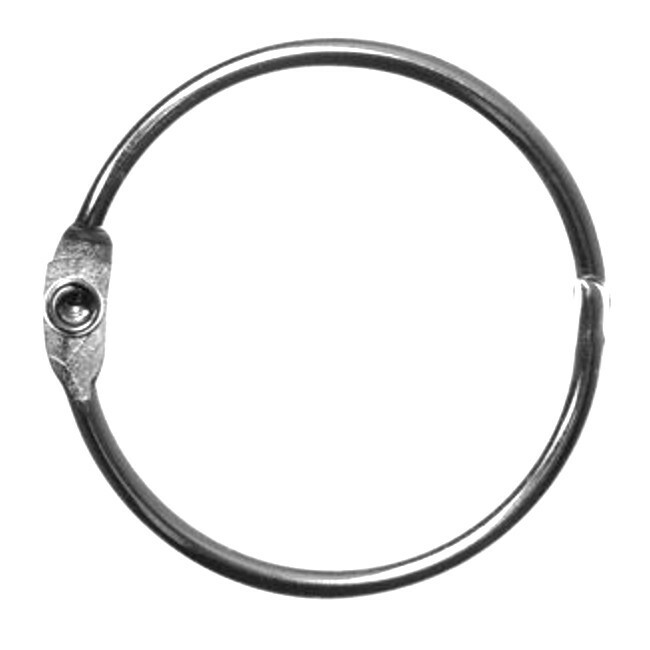 If you want something different to bind your projects together give a snap hinged ring a try today.